As a nurse professional you may often feel that your needs are not being met and that the company you work for does not provide all of the benefits that you feel you deserve. OPEIU Healthcare Pennsylvania is one of the unions available in the state hat represents the needs and interests of nurses who are in this position and who would like to change their circumstances. It is important to note that OPEIU Healthcare Pennsylvania can only effect change if a significant subgroup of employees within a company are members, so consultation with your colleagues may be required before joining. OPEIU Healthcare Pennsylvania is an organization which has close ties to the Office and Professional Employees International Union. This is the Union which represents over 144,000 members in various professional fields and which is recognized as a leader in achieving effective outcomes for nurses through collective bargaining. Nurses, as a result, often choose to belong to this union above all other options. 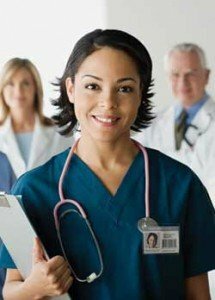 A notable characteristic of OPEIU Healthcare Pennsylvania’s is that its nurses rank among the highest paid in the field and that its contracts are nationally respected for their nursing practice solutions. “The mission of OPEIU HEALTHCARE Pennsylvania is to be the leading advocate for the members’ common, professional, economic and employment rights and interests. And, also, to serve as the union organization for registered nurses, licensed nurses and other healthcare workers and to advance the profession of nursing and its members”. As a member of the OPEIU Healthcare Pennsylvania you will be allowed to vote on the acceptance or rejection of issues that directly affect your wage, benefits, and working conditions. What this essentially means is that you will be allowed to have a voice on matters that are important. The point of belonging to a union such as OPEIU Healthcare Pennsylvania is that you will be able to make a real difference in terms of the policies passed in the place where you work. In the long run this means that your interests will, for the most part, be met and accounted for. In addition, you will have the right to fully participate in Union activities, which includes the development of contract proposals and the election of union officers, among many other things. You will be able to directly influence what happens within the state of Pennsylvania. All members of the OPEIU Healthcare Pennsylvania have access to the Short-Term Disability Payment Benefit program. What this implies is that, should you be left unable to work for a temporary reason, you will be given resources that will allow you to survive your disability. This is a very important benefit as it protects you from the fallout of any serious accident or illness that may out you and your family at risk financially. Most importantly of all your family will not be left stranded should you die as members are eligible for the Member Death Benefit program which is $1,000 from OPEIU HEALTHCARE Pennsylvania and $3,000 from American Income Life. There is no way in which you can account for all possibilities in terms of what will happen in the future. This program accounts for the possibility of your death, leaving you with one less consideration to worry about in terms of the well-being of those you love. For those nurses who would like to study further, or prospective nurses who would like to enter the industry, the OPEIU Healthcare Pennsylvania offers a number of scholarship opportunities in order to make those dreams come true. Many individuals who have the potential for being excellent nurses and nurse practitioners do not enter the field because they do not have the resources required to pay the tuition fees that most schools ask for. These prospective students are simply unaware of the many scholarship opportunities offered through OPEIU Healthcare Pennsylvania as well as through a number of other sources across the country. Last, but not least, you will receive a Perks Card and be a member of the Union plus Program. Usually you will not be the only employee at your place of work who is a member of OPEIU Healthcare Pennsylvania as the organization tends to represent groups of employees within a company. If you would like to apply for membership with this association, please fill out the form that can be found by visiting this link. It is, however, worth considering first off whether or not this is the best union for you to join or if, considering the facility or institute at which you work, an alternative union would be more appropriate than OPEIU Healthcare Pennsylvania. Organizing: How Does It Work? The first step involves making initial contact between both parties, namely OPEIU Healthcare Pennsylvania and the Employee interest. To begin with OPEIU Healthcare Pennsylvania meets with a core group or smaller group of representative employees (i.e. a group of employees that adequately represent the entire employee population) to gage the interest of the group and to begin defining a potential bargaining unit and strategy. OPEIU Healthcare Pennsylvania attempts to enlist the help of volunteers in order to ensure that communications run smoothly and that the primary objective is achieved effortlessly. The organization also continually engages in an ongoing collection of names, addresses and telephone numbers throughout the entire process. This is to facilitate communication between itself and those employees which it hopes to represent. This information is kept up to date in order to negotiate future contract more and more effortlessly than the previous ones. Then the association determines or establishes the total number of employees in the potential bargaining unit as well as the number of signed “cards” which will be necessary to file a petition for election with NLRB. As with contact details, the collection of signed authorization cards is an ongoing process that takes place throughout the proceedings. These cards are necessary in order to begin the negotiation process as a certain number must be collected before OPEIU Healthcare Pennsylvania can move forward with its plan of action. Meetings with employees from the potential bargaining unit are held throughout the process in order to facilitate education and communication, and to answer any questions that may arise. OPEIU Healthcare Pennsylvania constantly provides updates through mailing systems and works actively in encouraging members to sign their authorization cards. All of this eventually leads to OPEIU Healthcare Pennsylvania obtaining a sufficient number of authorization cards which in turn allows them to file a petition with the NLRB requesting an election. The NLRB evaluates the petition and determines the bargaining unit. If necessary, a hearing is held, following which an election is scheduled. The next obvious step is the election itself. If the majority of the employees vote for OPEIU Healthcare representation, the election is deemed to be successful. Stronger votes mean better bargaining positions. Now OPEIU Healthcare Pennsylvania begins negotiating its first contract. This is the first step in ensuring that you and your fellow members get what you want. OPEIU Healthcare Pennsylvania is an excellent association for achieving these goals. Accurate and fair representation is hard to come by these days, so it is important that you consider all of your options, including organizations such as OPEIU Healthcare Pennsylvania, if you feel that your interests are not being considered at the company where you work. It is also important that you think carefully before joining a union or another representational organization as often such organizations have hidden agendas which may not in fact be in line with your best interest either. OPEIU Healthcare Pennsylvania is one of the better options that you can choose form and is therefore a worthy choice to make in this regard. For a more traditional method of contacting the association, go to this link and fill out the contact form, remembering to click on the ‘submit’ option when you have completed the process.